Founded in 1987, MSC Cruises is now one of the world's leaders in international shipping. The company emphasizes a strongly Mediterranean-influenced ambience on board its 17 ultra modern ships including the MSC Fantasia, MSC Opera and MSC Poesia. Expansion is the company's focus. Testament to this is its recent deployment of two brand new ships MSC Bellissima and MSC Grandiosa. Fine food prepared by highly acclaimed chefs is at the heart of every voyage with MSC. There is a whole range of dining options on board from fine dining to buffet style. These are only some of the exquisite restaurants you will find: 'Eataly', 'Kaito Sushi Bar', 'Asian Fusion Restaurant' and 'Silver Service Restaurant'. MSC offers over 2000 carefully designed excursions and custom made tours in 190 destinations and 73 countries around the world. The cruise company is also known for its fantastic entertainment: enjoy classical concerts, Cirque du Soleil acrobatic shows, Broadway- and Las Vegas-style theatre performances and much more. The company's partnerships with companies like Lego and Chicco mean that MSC cruises are ideal for your little sailors too. Dinners are a feature of every MSC Cruise. Therefore it is advisable that you pack occasion wear for this event in addition to casual wear for relaxing onboard. MSC offers Theme Parties both during the day and at night. Don't forget to bring your finest floral 60s and 70s attire for the Flower Glory Party. Make sure to bring white clothes for the White Party as well as Italian colours green, white and red for the MSC Little Italy entertainment. 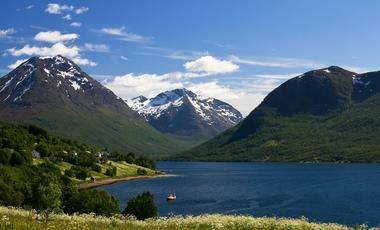 Explore the Northern Passage and discover Viking legends on this 11 night cruise from Hamburg through Norway. Bring your camera to capture the spectacular Northern Lights in Tromsø. Sail half of the world with this fascinating 73 night cruise from Rome. Visit cities in Europe, South America, the Pacific, New Zealand and end up home - Down Under. Make sure you try the best and freshest seafood on the continent when you go ashore in Santiago, Chile. 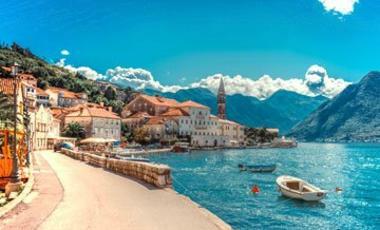 Visit the Adriatic Coast on this 7 night cruise from Bari in Italy. Explore Santorini, Athens, Kotor and Venice on the way. If you are up for something active, bring your hiking shoes and go on a climb up to Mount Pantokrator in Corfu, Greece - it's worth the effort! For something more leisurely at this port, visit the quaint fishing village and incredible beach. MSC Fantasia is stylish and ecological, balancing the warmth and comfort of the Mediterranean atmosphere with cutting edge design. MSC Splendida, offers elegant Italian-inspired design with all of the modern features for the perfect cruise. Take in magnificent sea views while you dine, or lounge on the sun deck. MSC Splenida offers maximum relaxation. MSC Orchestra with it's elegant design is a part of MSC's Musica Class. Guests choose from the host of activities and facilities to tailor their own dream cruise on this ecologically friendly ship. The MSC Musica has countless impressive highlights. Be dazzled by the Havanna Club Smoking Lounge, the Zen Garden and especially by the magnificent, three-tier waterfall. MSC Opera provides a selection of amenities and features which will enhance the cruising experience of passengers. With new cabins, balconies and even more dining space onboard, guests are sure to be left feeling fully satisfied. MSC Magnifica is in a class of its own combining the relaxed refinement of the Musica Class with the variety and opulence of the Fantasia Class flagships. MSC Magnifica brings cruisers the best of both worlds. Would you like to relax and enjoy an unrivalled entertainment programme while cruising the Caribbean, South America or Europe? Welcome on board the MSC Armonia! Top entertainment and an outstanding spa area await you. The MSC Sinfonia, is full of everything one would expect from an MSC cruise. With numerous stateroom categories, dining options as well as a host of lounges, bars and a live theatre, there is no shortage of activity on board. On board of the MSC Lirica something is offered for every taste. The ambiance of the Lirica, which is characterized by numerous recreational opportunities and delicious Mediterranean cuisine, will provide you with a wonderful holiday. MSC Divina -“The goddess”: This name is symbolic of the fantastic journey that awaits you on board. MSC Divina represents the state-of-the-art generation of MSC ships and guarantees a holiday full of extraordinary experiences. This state-of-the-art cruise ship guarantees an unforgettable holiday. Set your soul free in the MSC Preziosa's large and luxurious spa or take advantage of the diverse free time activities offered on board. MSC Meraviglia is a marriage of state-of-the-art-technology, a love of the sea, design, comfort and practicality. Being able to dock at any cruise port around the world, expands your choice of itineraries and destinations. MSC Seaside debuted in November 2017 as the first of its next generation “Seaside” class of ships. It sails year-round from Miami to the Caribbean. MSC Seaview is here to re-write the rules of cruise ship design: unique, innovative and simply beautiful, she will take you around the sunny Mediterranean and South America. 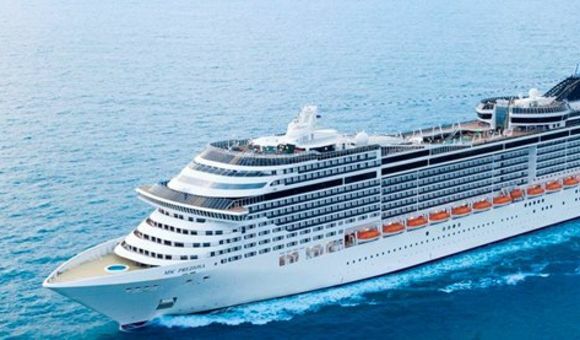 MSC Bellissima is the newest ship in the MSC fleet. MSC Bellissima will feature top of the range technology such as 'MSC for Me', a wide variety of dining options and entertainment suited to each passenger. The first ship in MSC's Meraviglia-Plus generation launches in November 2019. Sailing in the Mediterranean, the company's new flagship emphasizes more public space, along with exciting, modern innovations for it's passengers. MSC Cruises is passionate about the Mediterranean. It embodies all the best values of this diverse and sunny area and leads cruises with great expertise. Founded in the Mediterranean in the late 1980s, it still sails the most passenger cruises of any cruise company around this area. MSC Cruises is very serious about its values. It stands for authenticity, humanity, and warmth. This means that it maintains the highest standards of hospitality and value for money, and is also very family friendly. MSC cruises is ahead of the game – you can sail on one of their cruises with a good conscience, knowing that the company has gone above and beyond to make its cruises as environmentally friendly as possible. This cruise line also places great emphasis on exceeding requirements for passengers with disabilities. MSC immerses its guests in the relaxing way of life in the Mediterranean. It delivers its guest’s excellent regional food and stops off at some of the most fascinating coastal towns all around Europe. MSC Cruises has a repertoire of around 2000 quality shore excursions which take the hassle out of sightseeing and allow guests to get the most out of each destination. 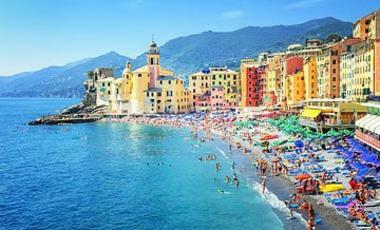 On some of MSC’s itineraries, you will dock at a fascinating new costal town almost every day! MSC is also proud of its Grand Voyages which allow you to discover the world. MSC Cruises are a big presence in Africa and Brazil and also sail to destinations such as the Caribbean, the Emirates and the Canary Islands. Whether you choose the Suez Canal, Rio de Janeiro or Abu Dhabi, these tours have a more relaxed pace and a real feeling of exploration. We offer two easy ways to get in contact with our cruise experts. Simply call our team on 1300 887 590 and talk through your options with our advisers or search for your favourite cruise on the website and fill out the request form at the bottom of the page. One of our consultants will be in touch as soon as possible – don’t worry if you change your mind of which cruise you want just talk to our team and they will be happy to help you find the best deal. For more deals check out our Cruise Deals and Cheap Cruise options.